Apochromatik's Amy M. Gardner and Keith R. Sbiral to headline American Bar Association CLE Webinar on Imposter Syndrome. Learn techniques to overcome negative thought patterns that can create an "imposter syndrome" that limits your ability to serve your clients with due diligence. The term "imposter syndrome" was coined in the late 1970s and is described as a feeling of “phoniness in people who believe that they are not intelligent, capable or creative despite evidence of high achievement.” It’s generally accompanied to (and exacerbated by) perfectionism, black-and-white thinking, and intense fear of rejection and failure. These thought patterns create a perfect storm of insecurity, anxiety, and stress. Lawyers, especially those in solo practices or small firms, can become paralyzed by these thoughts. Women and minorities can be even more affected by these negative thought patterns. In this program, we will discuss what imposter syndrome is, how it can affect your competence and judgment as a lawyer, and strategies for beginning to overcome it. This presentation will focus on ABA Model Rules 1.1 (Competence); 1.3 (Diligence); 1.4 (Communication); and 8.4 (Misconduct). Lawyers have a duty to offer their clients zealous representation in areas of the law where they have demonstrated competence. Lawyers are charged with doing their due diligence for all their cases, communicating the status of matters in a timely manner and remaining fit to practice. When a lawyer is struggling with a behavioral health condition, whether it is a substance use disorder, a mental illness, or emotional condition, their fitness to practice can suffer. This program will teach you about tending to your own emotional well-being by informing you about a condition that starts with a perfectionist world view that can evolve into a state of anxiety and stress that interferes with professional and personal functioning. 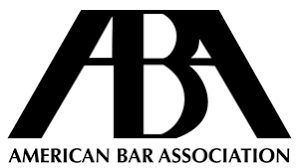 In February 2017, the ABA House of Delegates approved Resolution 106 amending the ABA Model Rule for Minimum Continuing Legal Education which includes a requirement for lawyers to receive at least one hour of mental health or substance use disorder programming every three years. This program offers education that will empower you to establish healthy attitudes and behaviors that will proactively assist you in dealing with emotional difficulties before they transform into impairments that make you unfit to practice.